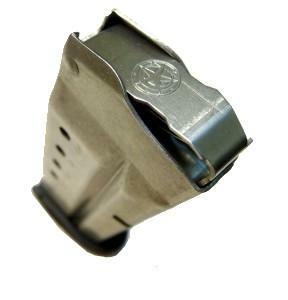 Adds a round to your S&W Shield 9mm magazine without extension. The conversion uses your existing magazine tube and base plate while replacing all internal components with the MagGuts™ ZeeSpring™ spring and follower system. This conversion is compatible with both the 7 and 8 round Shield 9mm magazines. This is the gen. 2 version of the Shield conversion. Utilization of the ZeeSpring™ design simplifies the assembly compared with the original two spring system while maintaining performance and reliability. 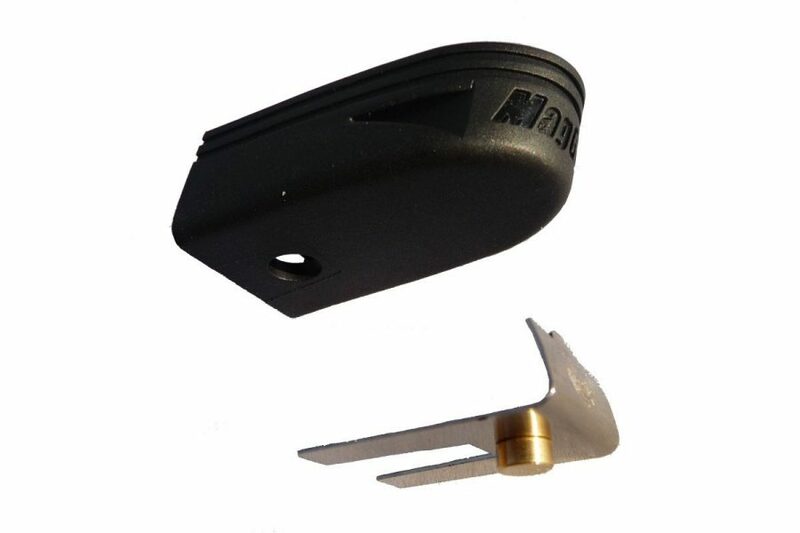 -Maintains reliable slide lock operation. -Compatible with original S&W magazines only. MY 7 and 8 rd mags are now 8 and 9 rds. Love them, over 500 rds and no malfunction. Jams not reliable $50 down the drain. I have fired appx 150 rds with both +1 rd, then later with the +2. Would not sell them, now +2, for a profit. Plus many stars. More to come I bet. Good work. Works better than factory spring and adds a round. Very happy. I bought 2, one for my wife’s Ruger and one for my Shield. The instructions made the job a piece of cake (made the wife do her own). Tested them (500rds) both and they work great, +1 rd and the mags have no flaws. Will definitely buy more and refer to friends/family. I hav bought 3 of these and they have been flawless. The MagGuts are a fine replacement – alternative for the original, problematic magazine springs of my 9MM MP Shield. I often recommend them. At the range after emptying my OEM S&W clip, I tried to reload it and could only get a few round in it. I unloaded it and notices through the number holes that the spring was oriented wrong. Upon removing it, I found that it was bent at 90 degrees. Bending it back was useless as it would just bend again upon reloading it. I thought about calling S&W to get a replacement but I use this weapon as my daily carry and will never trust the OEM SPRINGS WITH MY LIFE. Then I found MagGuts. Not only is this a much better spring, but I also get an extra round as a bonus. You will not be disapointed if you purchase these. installation was easy. so far no problems. love added capacity. exactly what i needed. thanks for making this product. LCP and Shield products running fine.Waiting for LC9 and 45 Shield .Definitely will buy. Although it took several tries for the spring to settle properly, when it finally did, it worked well. I took my Shield to the range a few days later and had no issues with the modified mags. Works great took me about 5 minutes to install. Fyi the last round is a little hard to get in but once you do it works great. After shooting about 30 rounds loading was very easy. Easy to install and better than the original! Great product, looks and performs great, made of high-quality material, way more durable than the OEM Smith & Wesson Springs. And you get to add one around here magazine. It doesn’t get much better! I replaced all 4 of my magazines for my M&P Shield and not disappointed with the extra room for one more round and how smooth the feed action. The three spring sets arrived quickly, were fairly easy to install, and function flawlessly as advertized. Good product! Ordered the MagGuts parts to change my seven round magazine to eight rounds in my 9 mm shield. Perfect fit and the grip extension fits my hand and feels great. Love this product and highly recommend it. Thanks MagGuts!!! Easily add an extra round without adding any length to maintain concealment is truly awesome. Works flawlessly in my S&W Shield 9mm. Thanks again for a great product. Easy to install. It was a perfect fit. I haven’t taken it to the range yet so I can’t comment on how it will perform after a couple hundred round, but I’m sure it will exceed my expectations. If I don’t update this review assume everything went well! Worked well once I installed it properly. I did not understand that the first bend in z spring needs to be forward on the follower. When are you going to have a MagGuts +1 for the Kahr CM9? This is the 2nd set of MagGuts I’ve ordered & they work great! I’ve never had a single issue them, no failure to feed or a single failure to fire! Good product that I recommend to everyone. I’ve got both the +2 and +1 options and both work perfectly. With zero additional length with the +1 and only a quarter of an inch with the +2 this is really the no brainer option. Excellent item.Well spent money. Highly recommended for Shield owners. Perfectly engineered for Shield 9mm. Exact tolerances for stock mag and MagGuts replacement spring plate. Not recommended for after market pinky extensions where the stock spring plate would be utilized. Good products, for a great price. This is the 3rd purchase of a MagGuts kit for me. My Shield is now an 8 +1 pistol with a 9-round backup mag, giving me an 18-round system. The kit installed easily and works perfectly. I really don’t understand why S&W doesn’t adopt this system itself. I have 2 other 9mm Shield MagGuts (+1) installed on other magazines. They work as advertised. This specific spring setup will not allow me to place the 8th round in my SW Shield Factory Magazine. Can you remedy this non-working product? Installed in a snap, very happy with the results. Mags work perfectly. Have installed on all my EDC 8 rd mags. I don’t use the 7 rd mags. Zero failures of any kind. Will install on any additional mags I acquire. Has worked flawlessly with my M&P Shield. I am verry happy with this purchase an have recommended it to several other shooters already. I will be purchasing atleast 2 more. I have it in my Shield9 and BG 380. Works perfectly! I thought the spring was going to be flimsy from the images but it is very solid and quality made. Tried out the +1 springs in my Smith&Wesson Performance Center 9mm Shield installing in the 7 round magazine. Using Hornady Critical Defense ammo as well as Winchester White box I encountered no issues at all. I really like having that reliable extra round in the magazine for what I believe to be a reasonable price. This is a great product to add another round and not change the length of mag. Easy to install. The slide always locks back after last round and feeds great. I wish MagGuts would update their website with the gen2 information and videos. This product lives up to my expectations. At the range last weekend ran 150 rounds through this magazine with no failures. Will be purchasing additional units. The magazine upgrade works great. You can tell the difference in weight though with just one extra bullet. Product took a few times to get it to cycle correctly. But it does what it says it does. Would love a detailed video on new spring installation. Also the follower is sometimes a little finicky on placement. Would be a 5 but kinda spendy to add a single round, but overall worth the money for how well it worked and ease of installation. I purchased one of these a while back for my M&P Shield 9 flush fit mag just to test the reliability and long term function. It has never failed in the course of multiple range trips. I decided to get another one for my extended mag. Went to the range a few days ago and both functioned flawlessly. Now I carry my M&P Shield with 1 in the pipe, 8 in the flush fit mag and 9 in my spare extended mag. I feel good knowing I’ve 18 rounds of 9mm on me in a very small package. First time use only so far. Failed slide lock on a few sets. Not sure what the issue is. Will keep on trying. Workes just as it’s supppsed to…. Thank you so much for shipping from Florida to California so fast! Ordered on the 18th, arrived on the 20th with Express shipping. As you might have guessed, it will be a Christmas gift. Ordered for my brothers M&P Shield 9. I know he will love his +1. Definitely ordering more MagGuts products after the holidays! I keep getting emails asking for a review. The product is fine but I hate the nagging emails. So here’s your review. Enjoy. I have used the +1 & the +2 in my shield magazines. They work just as advertised. I had a little trouble loading one the first time but after that first load they’ve all worked great. Product works well, good customer service. will buy again. I bought a Magguts spring set for just one of my S&W Shield 8 round mags. I wanted to make sure it would work with the Fixxer mag extension. It worked perfectly, making it a 9 round mag now. Now that I know it works, I will be ordering the Magguts for the rest of my mags. Now I carry 9+1 and an extra 9 round mag! Easy to install, shot a hundred rounds worked excellent, thanks maguts! I got these for a couple factory 8rd mags and they are very nice, a bit pricey though. Haven’t been to the range but I’m hoping they’re aren’t any issues. This was a poor purchase and is a poor product. I tried installing this 4 or five times, and each time I would put rounds into it there was some sort of a malfunction. The first time there was a pop putting in Round 8 and the spring turned sideways inside the magazine. The next few times the follower would pop up and out of the top of the magazine, followed by the spring pushing up against it. Don’t waste your time. Not getting 9 in the 8 but am getting the full 8 where I could get only 7 in the 8 with OEM configuration. Also have to load the first round by hand. If using a loader, the top plate goes crooked if the loader tang presses directly on it. Smoother loading than with OEM spring. No problem, so far, with chamber feed reliability. The “z-spring” design works well. Easy to install and ready to be put to work at the range in no time. I have had no trouble with my magazines functioning properly! Adds nothing but a Round. I prefer the bottom plate of the First Gen better than the silver tab. Other than that seems solid. Love the +1 while keeping the stock mags. Well done! Great product, gun shot without a jam. Works as advertised. Would purchase again. The product is great and the shipping was fast, especially for the holidays. Would definitely order from them again. I bought two sets of mag guts for my S&W 9mm Shield 8 round mags. Pretty easy to assemble and I’m able to use 10 rounds per mag now. A little tight with 10 but they consistently work.. I installed in my 7rd Shield mag as well as one in my 8-rounder. Both installed pretty easily. During the first install (in my 8rd mag…which is now a 9-rounder!) the base plate slipped under pressure, which is when I realized that Magguts designed an ingenious little lip on the lock plate that came with the set. That little lip (once I installed it the way the instructions clearly indicated I should have in the first place) made it rock-solid. Then, during install in the 7-round mag (now an 8-rounder! ), the pressure on the spring made it shoot up a couple of times. Make sure to wear EYE PROTECTION during installation!! Though I haven’t shot these mags yet, each of them are able to easily get one extra round loaded…as advertised. During the last round getting inserted, just the very first time loading them after installation, each one of them made a loud pop/click inside. I believe that had something to do with the spring interfacing with the bottom lock plate when put under ultimate pressure. No big deal, just something to expect as “normal”. I’d buy more!! I’ve only shot using MagGuts a few times and it’s been working great so far. It’s nice to be able to hold anothe round in a small capacity magazine and seems to feed good! I will be buying more. I love the extra capacity and ease of installation. Works great! Awesome product. Bought 3 +1 for my shield 9. Highly recommend. No malfunctions, easier to load mags without ammo loader. Love it. Easily installed, but didn’t work right off, but once I got it working, it works flawlessly and really like the additonal one round in the pistol magazine! Just had the opportunity to run 100 rounds through my newly remade magazines. No problems at all in defensive & competitive situations. I do wish the instructions on the packaging were more clear & had more diagrams. Once we watched a Youtube video it was easy. Put about 300 rounds through now 8 and 9 round magazines. They work great and I like having the extra round capacity. Plus 1 ZEE SPRING for MP SHIELD works better than factory. Great product and great people to deal with. Works as advertised. Highly recommend! Recently odered 3 MagGuts +1 for my M&P Shield 9mm. One went in my 7 round magazine (now +8) I use for concealed carry. The other 2 went in my 8 round magazines with Hyve +2 extensions making them each +11. I use these as back ups or when I carry in my vehicle. Cycled roughly 200 rounds through the magazines with no failures. Couldn’t be more pleased with them. I was really looking forward to this product but in reality I find it to be very unreliable. Yes you can make it work but if you push down on the empty follower unevenly, you can pop it endways rendering the mag useless until disassembled and reassembled again. Any unreliability whatsoever is unacceptable with something I need to protect my life. I now have Magguts for my S&W .380 Bodyguard and S&W 9mm Shield 2.0. Love both of them. Easy to assemble and works, works, works. Will purchase another for my S&W 9mm Shield 2.0. Thanks Magguts. Very easy to install works perfect Super fast shipping Well worth your time and effort. Don’t wait do it now ! Purchased +1 springs for both 7 and 8 round magazines. Installation took less than 10 minutes for both. Have run about 75 rounds through each mag. Operation has been flawless. Three types of ball ammo and Federal HST 124g hollow points. Very happy with the purchase. Highly recommend. The spacer plate that came with kit did not fit like the original plastic plate. When all together the heel plate would slide forward and could see new spring. Afraid with it not fitting the plate and spring would come loose. Great product, works great. Had an issue with delivery from postal service. Contacted MagGuts customer service with questions concerning delivery and problem solved within a day. Delivery was delayed because of USPS issues, Jenny from CS resolved my concerns. Outstanding !! Sharp a hell when you install. Eye protection and gloves. Well worth it. Easy to install, works great. Switch from USPS. We all know we can’t trust the government to run anything. The shipping was painfully slow. It took about 3 weeks from the time my product shipped to the time I got it. I am not a handy man but I had no trouble install the new spring system in the magazine. I put this is my flush magazine to hold more while having maximum conceal ability. Worked flawlessly through hundreds of rounds. Will be ordering more for my other mags. After installation in my S&W Shield 9mm, I went to the range for a test. Fired a little more than 50 rnds filling the magazine each time. Had no problems. Great product. I will be ordering another for my spare mag. and for other guns that I use for conceal carry. I bought one kit for my S&W 9mm Shield 7 round magazine and one for the 8 round magazine. I now have an 8 rounder and a 9 rounder. The kit works as claimed and the slide locks back after the last round on both magazines A happy customer. Works as advertised, nice product, easy install. Received and installed two Magguts +1 kits in my S&W Shield 8 round magazines. Installation was easy and quick. I have run over 500 rounds of various ammo types both FMJ and JHP through the pistol with absolutely no failures of any kind. I couldn’t be more pleased. Installation can be a tad tricky because you have to keep the spring aligned just right as you install it. Once you get past that part, the first time you load the mag it might seem like there isn’t room for the extra round because the edges of the sheet metal can catch a little extra friction toward the end of compression but it will get past that if you apply enough pressure. After that it seems to smooth out after a few uses. I’m very impressed with how reliable these have been. No failures at all after several hundred rounds. Placed these in 3 of my shield magazines, 1 7rd and 2 8rd. Used my shield throughout a very rigorous training weekend with 1000+ rounds, with mags repeatedly in the dirt all day with ZERO malfunctions. Wouldn’t carry my shield without these. Got the spring that adds 1 round. The first time at the range with my so far flawless Shield 9mm. I had a few FTFs. The next time it worked 100 %. A few more times at the range with no more FTFs and I might jump it up to 5 stars but at the moment the trust just ain’t there. Functions fine, but If I push down on the back of the follower the front of the follower will tip out of the mag. The spring hasn’t come out yet, but I don’t try to induce this probability. After loading the first round the condition cannot occur. Otherwise I wouldn’t worry about it, it works and functions correctly. Great product with no malfunctions to date! Love the MagGuts, does not change the overall size of my magazine yet allows me to carry 9(+1) in my shield. Finally got a chance to bring my Shield to the range and I couldn’t be happier with how well the gun fed with its new guts. Great product, very easy install, and very easy to load. Awesome. Works reliably on my s&w shield. Please make for 1911 mags. Product was received in a timely manner. Worked perfectly. No issues with FTF on S&W Shield 9mm. I have installed and used the Shield MagGuts kits with great succcess. The LCP 2 version however was a different story. I had problems with the top follower getting out of position and hooking over the top of the mag. Also, my original baseplates would not engage the bottom spring button without enlarging the hole. But the biggest problem was that a fully loaded mag with the extra round was extremely difficult to latch in the gun. One of my mags wouldn’t latch even with extreme effort. I can’t imagine that it would cycle properly in this tight condition. So I returned my kits. Perhaps they will redesign it and I will try again. Very pleased with purchase of 9mm Z spring ,going to purchase more . Hope you make them for 45 ACP soon. Second one.First one worked great and so does the second.Adding one round to shorter mag is better for maintaining concealment in my opinion. Just what the doctor ordered! Easy install! I turned my small mag into my carry mag for low profile carry. I will install the kit in my 8+1 mags. The install was a little tougher than I expected due to the sharp edges in the spring. Otherwise works as intended. Happy with my purchase, though in retrospect would have only gotten 1 for my shield 2.0 due to the +1 works great in the 7-round flush mag, but the 8 round (stock) mag is too tight to allow the +1 in the chamber. Essentially it means you can carry an 8+1 flush mag with a 9-round reload. If you carry the flush mag it works great. If you like the additional capacity of the 8-round extended mag as the one in the gun you don’t gain any additional rounds. The one extra in the mag is one you can’t carry in the chamber. These are cheap for what they are, easy to install, and work flawlessly. I have 5 mags with magguts in them split between two different guns and have never had a malfunction. No one I know who uses magguts has ever had a malfunction because of them. I just wish someone would tell me if the lcp2 spring works in the lcp2 extended magazine, then I would have 6 mags with magguts. As a career Law Enforcement Officer who always carries off duty I can say this adds more capability to a great CCW platform. Adding a additional round per mag is crucial when you have limited ammunition in the weapon. I have 5 magazines with the +1 or +2 additions. All have functions flawlessly and let you seat your magazine easier than with a non modified magazine. Great product. Easy to install if you’re familiar with magazine disassembly. No failures of any kind after 150+ rounds. Will definitely be purchasing more kits for the rest of my Shield mags. Thanks Magguts! These spring were super easy to install in my glock 42 and m&p shield 9. Havent had any problems with them. I have them in my S&W Bodyguard, LCPII, and Shield 9mm and all have functioned just fine. These work well (even for .40 S&W/.357 Sig) but are too expensive. Wish they could drop the cost – they’d sell a lot more of them. This product works as stated, installed in about 1 minute, and the mag still works like factory + 1 extra round. Even locks the slide back. I just dropped the new mag guts into my factory mag and they worked perfectly. And that’s more than I can say for the factory guts. Installed on the 9mm Shield. Took less than a minute to install. So far 100% reliability with any ammo. I have no concerns about using this in my carry gun. I had problems getting the extension to hold the extra rounds, but with the help of Corso got it corrected! Now I still need to get to the range and put it through it’s paces! I bought 2 kits for both of my 8 round M&P Shield 9MM mags and I’ve ran over 300 rounds through each one with zero malfunctions. They make a great and reliable product which I have recommended to several friends. Thank you and keep up the good work guys!! Very satisfied with my purchase. Was easy too install and works really well. Nice to have the extra round in the magazine. I also didn’t care too much for the spring setup and the bottom plate seemed sketchy on the +1 for the 7 round mag because the tab didn’t lock into the base plate like the factory setup does. I went with a different product from S.I. that I like better and it’s cheaper by a fair amount. Ordered a couple of the +1 and +2 kits. Had a small glitch and support was great, fixed my issue right a way. These are quality pieces with top notch support, couldn’t ask for more! Install went smoothly. Just pay attention to the instructions and you’ll be golden. Very easy install, works well. Probably 200 rounds shot so far and no problems! I am using MagGuts +1 springs in a Shield PC 9mm and a Shield PC 40S&W. I am very pleased with their service and have even noticed that in the 40S&W they feed more consistently and without hang ups that the factory follower and springs were experiencing! Can’t wait for the Shield 45ACP MagGuts to come out! Thanks for a great product. I purchased a +1 and +2 at the same time. I installed both according to the instructions. The +2 works as advertised but the +1 didn’t. Follower would tilt at front and it and spring would pop out of mag body. I returned +1 for a refund that was handled promptly and hassle free. a really great product , It does as said I got 1 extra round in my clip , My only problem will be if I ever chose to take it apart to maybe clean the clip it will be nearly impossible to take apart . I had a little trouble installing at first but watched youtube video and it worked great. took it to the range and ran a couple hundred round through it and had not one problem. So far has worked as expected in my 7 round magazine. Only wished it would work with my NDZ finger extension base plate. This is one of the best products I have ever purchased! Easy to install and not one failure to feed. I will and have told my friends and family about MagGuts. Worth every penny I spent. Within 5 minutes of opening the package my shield had an extra round in the magazine. Shipping was pretty quick too. Will absolutely do business with them again. Highly recommended. I love carying my M&P shield 9mm. It’s very concealable. I used to carry a mid size M&P 40. But I wear slacks a lot and it was difficult to conceal my weapon. I made the decision to make my shield my EDC. However, the capacity was a concern. I’m an investigator and need to be ready for the unexpected. When I saw Magguts and their reviews. I couldn’t help but purchase the spring kit and follower for my two 8 round magazines. From 16 rounds I now carry 20 rounds. The expenditure of ammunition is something I honestly dont rely on, I’m a black belt win chun holder, a student of close quarter contact and a USPSA Shooter. But those 4 extra rounds and my skill level makes the world of difference! I have not had any failures 500 rounds through. Thank you Magguts! Easy to install, looks good, works good. I held off on submitting a review until I had thoroughly tested them. They are super easy to install, and as reliable as anyone could hope for. I’m very happy with this, and would strongly recommend them. I happened to buy the Smith & Wesson Shield 9mm MagGuts:tm: (+1), but I’m confident these products will work flawlessly for any single stack gun-owner for which they are available. . I will be buying more as i expand my spare magazines. I’ve used these before in other magazines and they work well. No problems. This is my third set of orders for my M&P Shield 9mm. Everytime I buy more magazines for it, I buy another one of these magguts kits! Great product, fast shipping, and easy to install! Thank you so much!!! Installed in 7 and 8 rnd mag shot a bunch of rounds out of both and they work well . No malfunctions. They just work. As I stated in the title, this is my second set of maggut kits. 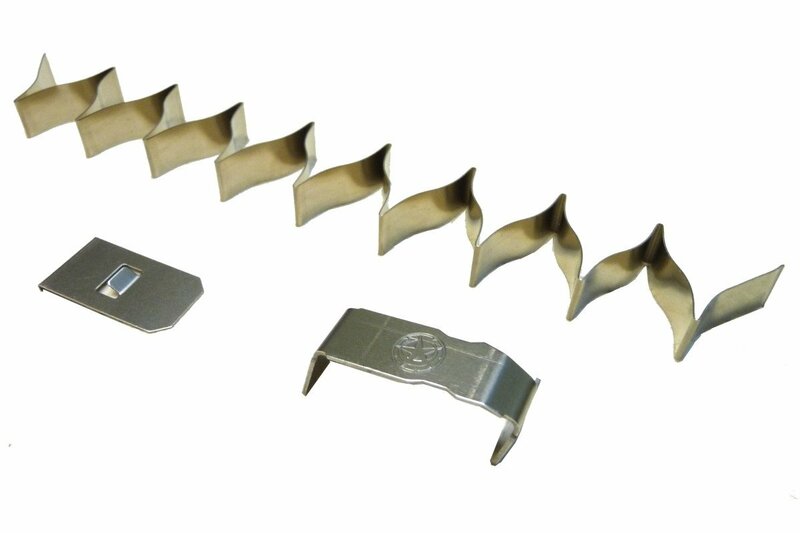 I ordered these +1 kits for the s&w shield 9mm that I purchased for him for his birthday last year. I already had a couple of the +1 kits that I installed in my shield 9mm mags a couple of years ago and they have functioned flawlessly. After shooting at the range with pop’s a couple of weeks ago, and watching him struggle loading the mags. I figured it was time to get a couple of more kits. Not only do they add an extra round per mag, but they make loading the shield mags much easier. So far everything that I have ever purchased from magguts has worked as advertised. I just wish that they would expand they’re product line to a couple of other semi auto pistols that I own. (Kahr cw9) That’s my only complaint. I was actually impressed by the materials use and the design , fits perfect on a M&P Shield. Installation was easy, just make sure to fill the mag afterwards and then empty it before using on the gun, it allows the spring to set inside the mag. I have purchased a number of magguts kits over the years and they are amazing! I love having the extra round without a magazine extension! Great quality and customer service! I can get 8+1 now in my compact magazine and carry it and shoot it comfortably. Will get them for my other guns. Have shot about 100 rds so far and no issues. Will continue to put more rds through it. Fit right in and got my extra round. Easy to do it, doesn’t seem to have any feed problems most like will buy more for all my mags. So far I’m impressed. Have only run about 100 rounds thru the 9 mm shield kits with out a hitch. I was thinking about getting a Sig 365 for the extra capacity but I like and shoot the shield so good. If the magguts continue to be reliable I’ll probably stick with the shield for my edc. I’m going to try some for my lcp2, having 1 or 2 extra rounds is a real game changer for me. The shipping was relatively fast. And the new spring and follower work as advertised adding an extra round to the 7 round mag. After some range testing I feel confident using it in an edc roll. Turned my 7 round factory magazine into an 8 round of exactly the same dimensions. The plus one would add one round to the factory 8 round without making it longer. The plus two does the same to factory mags, but I think it adds slightly to the length. Check out the website for details. I don’t understand why S&W doesn’t use this system on original equipment since it addresses the main issue with smaller guns: low round count. They make their kits for other guns but I can’t speak to how they work since I don’t own the other models. Great product so far. Bought one and put 1000 rounds through my gun with it and had 0 issues. Ordered two more. Excellent to date. Extra rounds much appreciated. Easy install. Great way to fix the issues with the spring collapsing issues the S&W Shield’s have. Plus you get an extra round. Doing just what it says. I bought mag guts for both my 7 and 8 round magazines to try them out and I am very pleased. I see lots of people using extensions on their magazines and to me that defeats the purpose of buying an m&p shield. This keeps the guns stock size and adds a round. It’s great. Even works with a pierce pinkey extension. Easy install. Changes my 7+1 to 8+1. Worked well, ran in recent IDPA match. Wont know if z spring sags for few months , but freshly converted mags run without malfunction. I am happy and recommend. I am giving this a 4 stars because this is only my initial impression. I am waiting for my long term experience before giving the last star. My initial impression is positive. I ordered one plus one and another plus two spring set for my M&P Shield. Changing out the internals was rather simple and straight forward if you have any experience or you are mechanically inclined. At first I was a bit concerned because the magazines loaded almost too easily. I was able to load 5 or 6 rounds simply with my fingers. In my experience new magazines have been more difficult to load until they have broken in. I wondered if they would have the force necessary to feed all rounds and lock the slide back after the last round. I loaded both magazines and took them to the range with 200 rounds for my first test. I must say I was pleasantly surprised. I fired all 100 rounds alternating between magazines with out a single malfunction. No failures to feed and no failures to lock the slide back on the last round. I have begun a long term test to see how the magazines, specifically the springs handle the pressure of being compressed over time. Since I bought them in July I will check them again in December around Christmas. If they pass that test I will check them again around July 4th next summer. Some test simply take time. I will check them with another 200 rounds then and if they perform as expected I will give them the final star. I purchased two +1 magguts extensions for my M&P Shield and was able to test shoot them at the range. They functioned flawlessly and by virtue of their design are less likely to fold in on themselves and fail like one of my OEM magazine springs did. I plan to buy more in the future! Thanks for making such a stellar product. Nicely designed and built solution. Functions flawlessly in my Shield 9. Installation was easy and I fully loaded (7 round mag, now 8 rds) and cycled snap caps through the magazine about 10 times without issues. First run of live fire, the magazine failed to feed the 8th round. Second run, the magazine did not engage the slide stop. From then on it functioned properly – I went through 100 rds total. This will need quite a bit more testing before I trust it with my life, but it does fit an extra round and perhaps just required a few runs through to completely break in. I bought this mostly toale it easier for my wife to load the mag. She does not use the +1 feature but it made it a lot easier to put a standard load out in the mag! Follower is good, spring should have edges softened (cutting hazard), also did not give me an additional round on the 7 round magazine. Prompt delivery and seems to be a quality product. Bought the spring and follower and works even better than the OEM one! Always had problem to properly seat the OEM mag during reload drills on a closed slide, not anymore with this product! It’s even easier to load the magazines! Planning to buy the extensions.Thanks Mag Guts! This is exactly the kind of company you want to do business with. Great products and prompt, personal support. I have over a hundred rounds through the magazine so far and haven’t had any issues. Easy to install. Does what it says it will. Works as the video reviews I saw on YouTube. Looks like a much better design than the factory dual diameter spring. 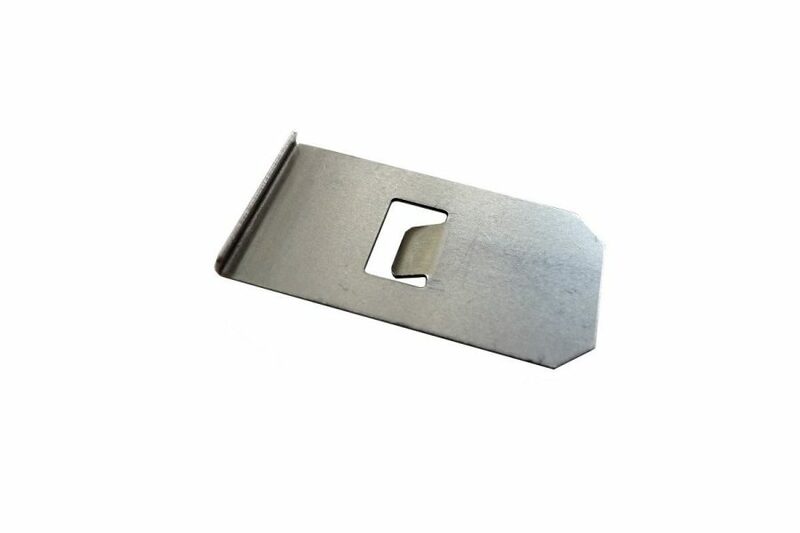 I’ve bought 3 of these for all my mags on my Shield. I love my shield and having an extra round for all my mags is a great way to carry. Easy to install and super durable. very pleased with product and will get more soon. This product does just as advertised. However it is not compatible with the strike industries +2 extension for the m&p shield. It allows the follower to drop down below the magazine into the extension and get caught on the lip. It does work well with standard 7 & 8rd magazines. I’ve been running Magguts springs in my Shield for a few years now. It’s a far better design than stock springs and the added capacity is always a bonus. You can’t go wrong with Magguts in your sidearm of choice. Purchased the plus one and two. Use them both in the seven round mags. Installation was a breeze. Both mags performed flawlessly. I like very much, it’s comfortable to wear, and easy to work with. thank you for the good price. joe p.
I use these on 3 different guns. They are 100% reliable and seem to function better than the factory parts. I hope you will make them for a Shield 40. Previously purchased the two spring original design. Never had a problem, it’s a great product. I haven’t used the flat spring design yet and it appears to be an improvement but you need to do something to dull the sharp edges. I know you warn about it but it’s not likely people are going to put on leather gloves when handling the spring. I really wish you would take a look at improving the magazine capacity for the Springfield Armory XDS 45. It can be done. You would have a lot of sales for it. I recently experienced a spring failure in my S&W Shield magazine and needed a replacement fast. I knew about Magguts and their reputation so I ordered their replacement spring. It came in 2 days before my Concealed Carry class, so naturally I didn’t have time to go to the range to check the function before the class. However, I did load and unload the magazine several times. It worked flawlessly. The extra round is a perk too. Incredibly easy to install. Magguts makes a great product. Works great on 8 round mag. Good way to increase the capacity of your single stack carry gun,would be fantastic if they had this for the Kimber Micro 9-would buy in a heartbeat! Easy to install, easy to load, worked well and without incident at the range. Magazine bottom cap does not index securely, wants to slide forward. Will end up in back corner of gun safe never to see the light of day again. 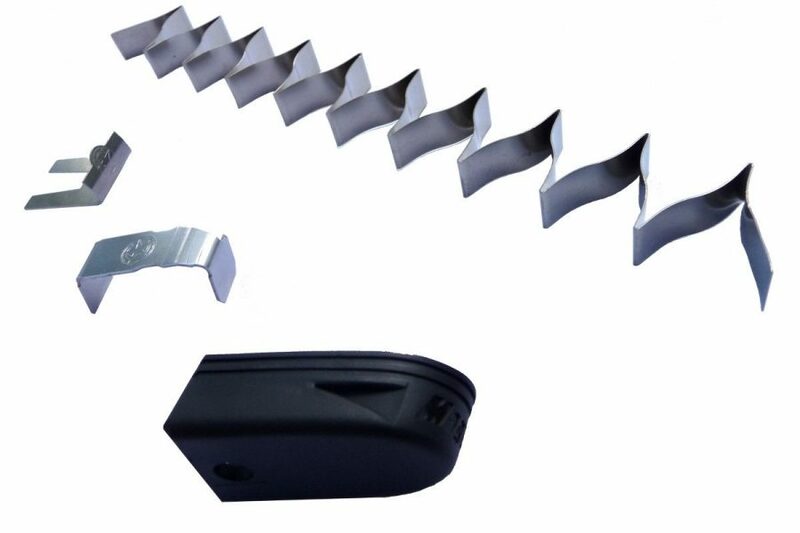 Both the spring and follower have extremely sharp edges. First time spring compression is tricky and finger cuts are likely. Once assembled correctly it seems to work ok…But, I have some reservations about its longevity. I was excited to find the two kits for the Shield magazines. I increased the small magazine by 1 and the large magazine by 2 rounds. The good: the kits function perfectly. I had an initial jam on the first round in the +2 kit, but after the first magazine, feeding was flawless. I’ve put tthrough about 10 full magazines with no issues. I definitely recommend these kits. The challenging: all the online instructions and videos are for the older kit with dual springs. The kits I bought came with the new flat spring. The instruction image in the box is really small but extremely important because the spring needs to be in the right direction. It’s also very sharp so be careful. Easy to install. Best to hand load mags as devices can make foller flip up. Which is small inconvenience for some but, not me. Quality product and good customer service. Awesome product. Kinda upset i can’t get one for all of my pistols. Very satisfied customer! Purchased the (+1) kit for my 7-round M&P Shield 2.0 stock magazine. 100 plus rounds down range without a single issue. It took me less than 2 minutes to install the parts. Flawless operation the next day at the range. 100% satisfied with my purchase. I highly recommend this upgrade. I just HAD to get two more for my other mags. Took a few times getting the spring in the 7 round mag to be able to hold 8 but I’ve put around 100 rounds through it and haven’t had a problem. Will buy more for sure. Cut myself twice on the springs trying to install them. I’m going with the HYVE end caps. Installed easily and quickly. So far, so good. Worked perfect from the initial install. After 200 rounds no defects. Works flawlessly. Only complaint is the difficulty installing can leave hands nicked up. Ran about a hundred rounds of FMJ thru the 10 round and 8 round versions. All fed well with no problems. I plan to run hollow points during my next visit to the range . I will be surprised if they don’t work just as well ! Used this to replace a spring in my stock 7 round magazine that had kinked at a 90 degree angle. Works great and magazine now holds 8. Great product – works as advertised – easy installation. 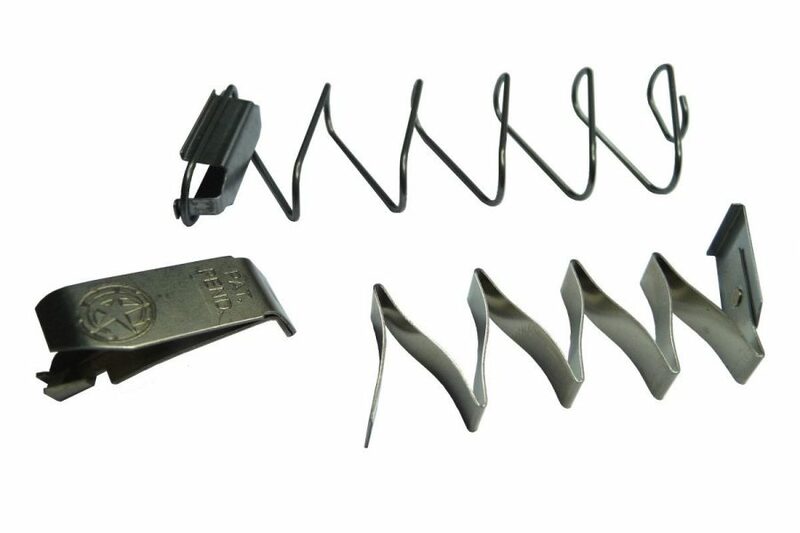 this is not a up-grade , it’s a fix for S&W Shield 9mm magazine springs ! Easy to install, extra round with no added length, highly recommend. I installed the unit and since to be ok, I have cycle it a few times with no problem needs to go to the range. Upgraded ALL of my M&P Shield magazines! Initially it took awhile to install, multiple tries. The springs were VERY difficult to install. If the springs do not set right it will not hold the additional rounds. With that being said once seated correctly it works! It fits the said amount and feeds through gun. I have yet to test it at the range. So I give it 4 stars because of difficulty and not actually testing it. Definitely a great and worthwhile mod for my carry mag to get an additional round capacity. With a little modification, works great with the NDZ Base Plate. Assembly was pretty easy, except I didn’t get the inner plate hooked correctly on the mag body and had to redo it. Reading the directions may have prevented that, duh…. The metal follower makes it easy to load and a dozen full magazines thru the Shield are without issue. I won’t buy the kit for all my mags because of the cost, but for my primary 7 rounder with pinky extension it’s great. Easy to install and works flawlessly ! Fast shipping as well ! Easy to install if you can keep the spring under control. Haven’t shot with it in yet but hope to do that soon. Easy to understand instructions, and simple installation. I still have to try it out at the range, but it loads all the cartridges +1, as advertised. The entire set-up seems well-engineered, as the spring is quite strong but more compact than the original. Yet, even with the additional round, it allows my magazine to insert without having to slam it home, or give it the that second tap to send it home, as was routine prior to the MagGuts mod. Well done! Bought two kits for my M&P 9mm Shield. I used one kit for the 7 round mag and one for the 8 rounder. Both mags work well and now have a +1 capacity. I have run a couple hundred rounds in each with zero issues.